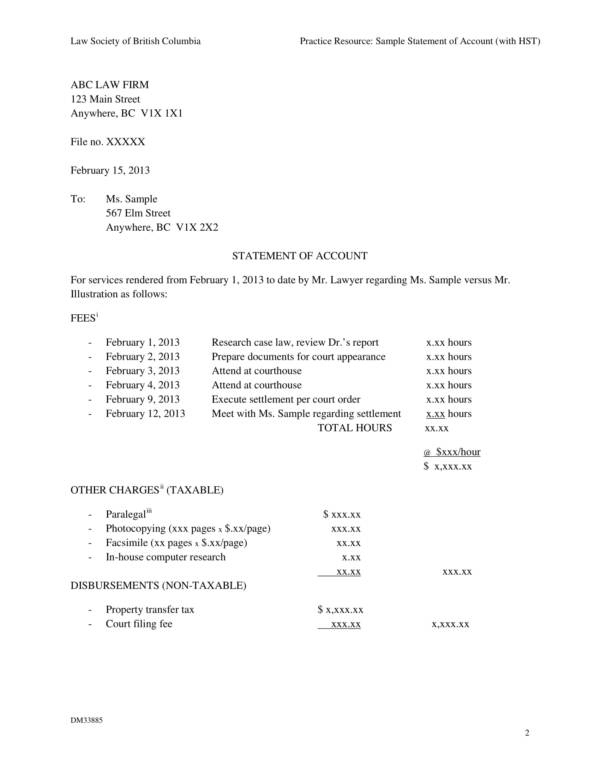 An account statement is defined as an official summary of almost any types of account. 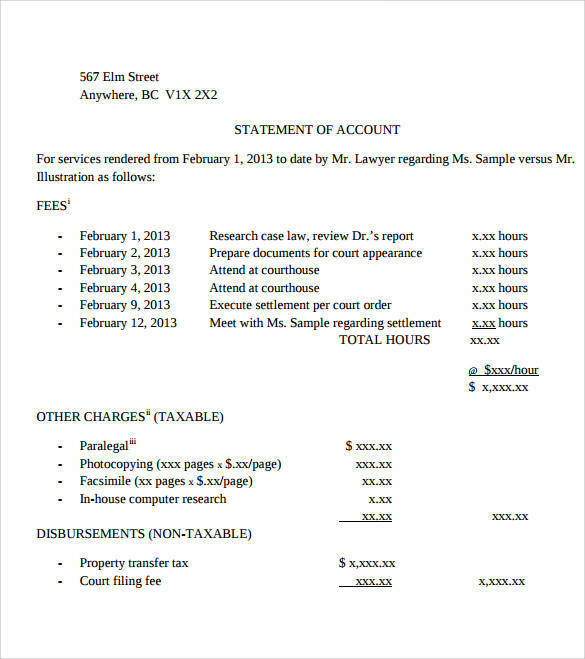 The summary includes the details of an account and the account activities that had been going on with it. Also, account statements have provide the beginning date and ending date of the specific account activities and are created or provided periodically. Account statements are important statements that are used and produced by a number of companies coming from different industries in conducting and managing their business. It has been used for quite some time now and it has proven itself to be worthy of its importance as well as the attention given to it. 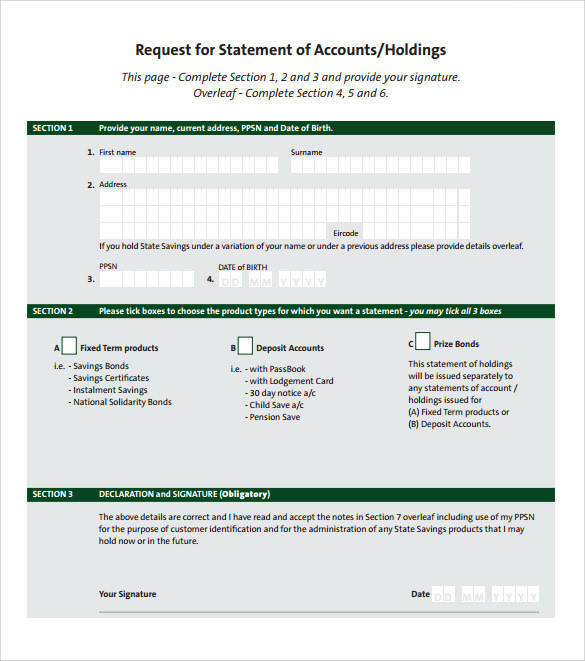 Below are some account statement samples and templates that you can browse through as we learn some things about account statements.You may also see statement letters. 3. Through an account statement, credit card bank accounts are able to notify their clients about charges on their account so that action can be taken and thus prevent fraud. 4. 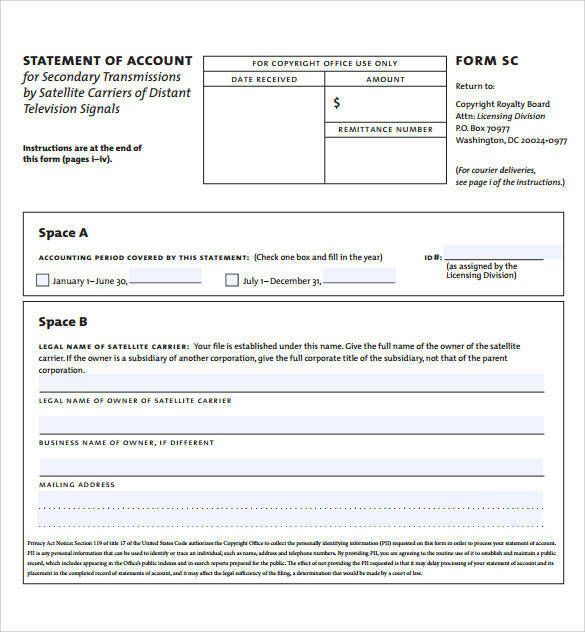 A statement of account is used as a requirement for certain things, especially those that involves money. When an account statement is submitted, it is scrutinized to ensure that the details are accurate and that contents of the the statement are true.You may also see billing statements. 5. 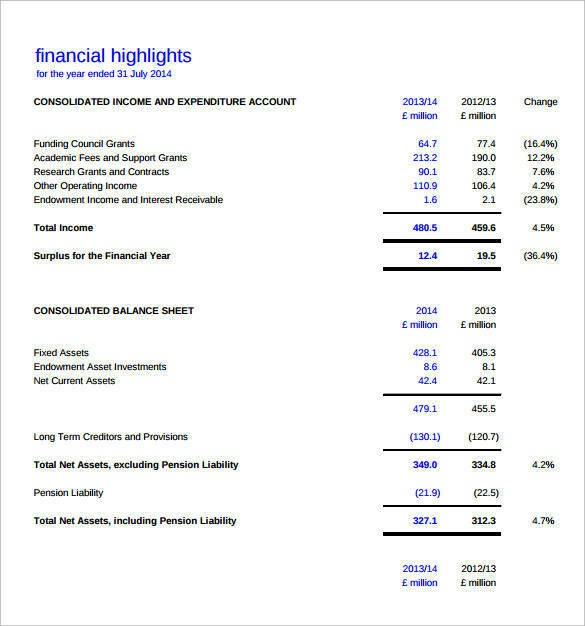 For companies and other corporations, a record of the business’ account statement is used as reference in making future decisions related to budgeting and other finances.You may also see personal statements. 6. Through an account statement, individuals or different entities are able to check if the payment they have made for such account has been recorded and posted. Other information that one can see in an account statement are their outstanding balance, the interest rate that has been charged on their account, late fee charges, overdraft fees and other applicable fees.You may also see sworn statements. 7. Other details that can be found in an account statement are account related information, like the credit score of the account holder. A good credit score means the account holder is a good payer and a low credit score means otherwise. 8. In case of a loan, an account statement is used to determine the remaining time or estimated time that it will take for the borrower to be able to payback all of their debt which is paid through installment.You may also see victim statements. 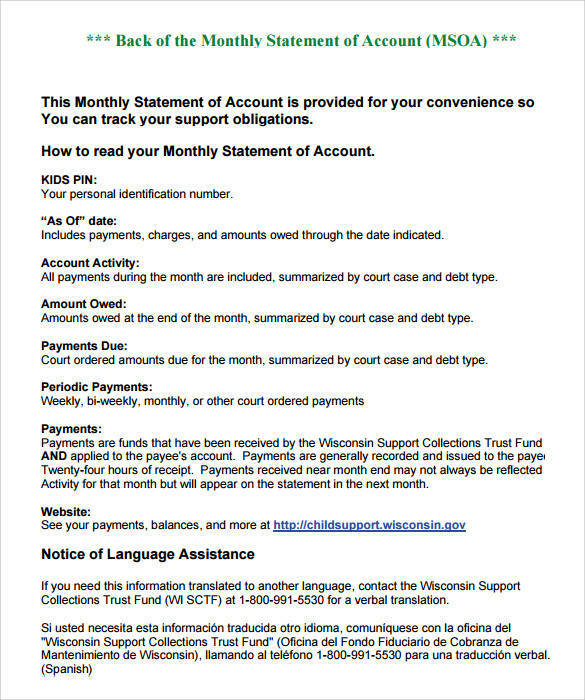 There are many different kinds of account statements in existence and some are even defined differently from the rest. This all depends on how they are used and on what things they are being used on. But no matter the differences, they still provide important information and serve as valuable documentation. Aside from account statements, we also have other articles about the different types of statements on our website. Some of the titles that you may find interesting are Compliance Statement Samples & Templates, Narrative Statement Samples & Templates, and Notary Statement Samples & Templates. Statements are issued by suppliers where they list down all of the amount due or owed. Since it lists down all of the amount owed, it does not necessarily mean that the breakdown of all the items are included. It just provides the total amount to be settle for a given period of time from a particular invoice. This means that there could be two or more amounts needed to be settled in a single statement of account.You may also see travel expense statements. 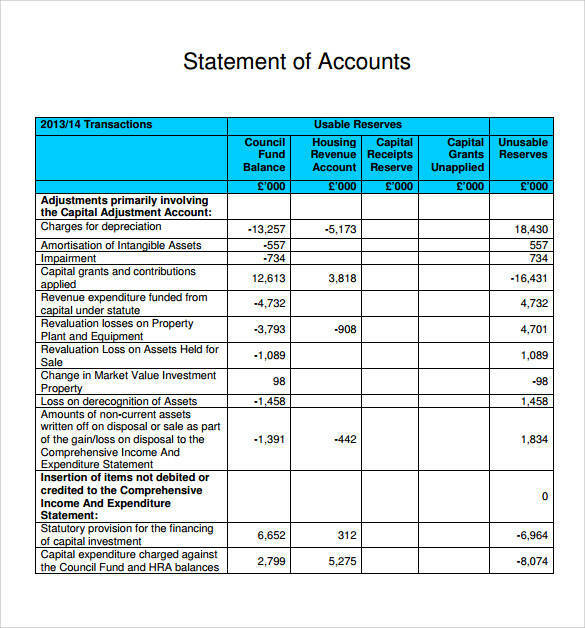 What Things Are Included in a Statement of Account? We will list down some of the things that you will commonly see in a statement of account. learning about its parts or components will greatly help you become familiar with it and find it easy to read and understand the details provided in it.You may also see problem statement samples. 7. The outstanding balance or the remaining balance of the transaction and when it is due. You may also see free statements. 9. The payment method used for previous payments done and the payment method that is accepted to make future payments. You may also see written statements. 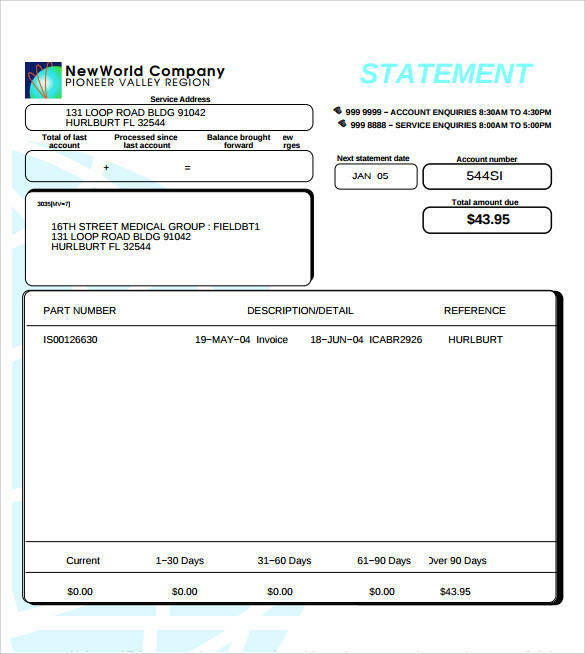 11 A payment slip that is usually found at the bottom of the statement page that can be detached or cut and presented when making a payment.You may also see yearly income statements. 1. A lot of things can be found in a statement of account and creating one from scratch might be a not so good idea as there are a lot of important things to remember and take not of. 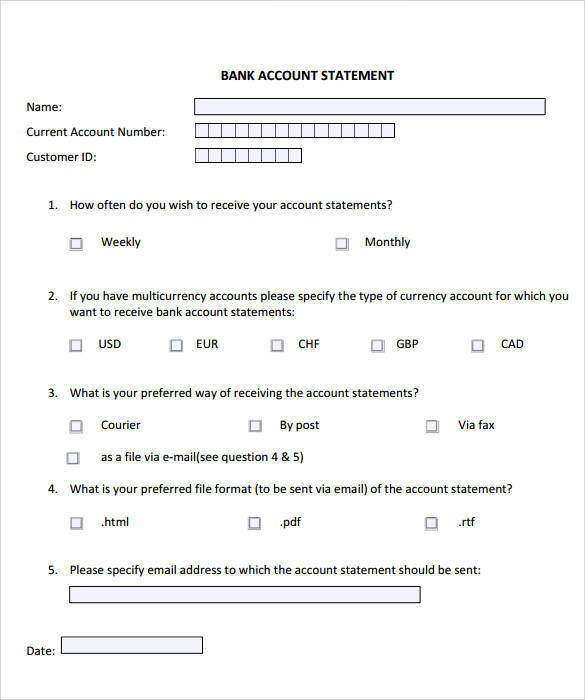 The template provides a complete set of details that are necessary to provide an accurate and reliable statement of account. 2. 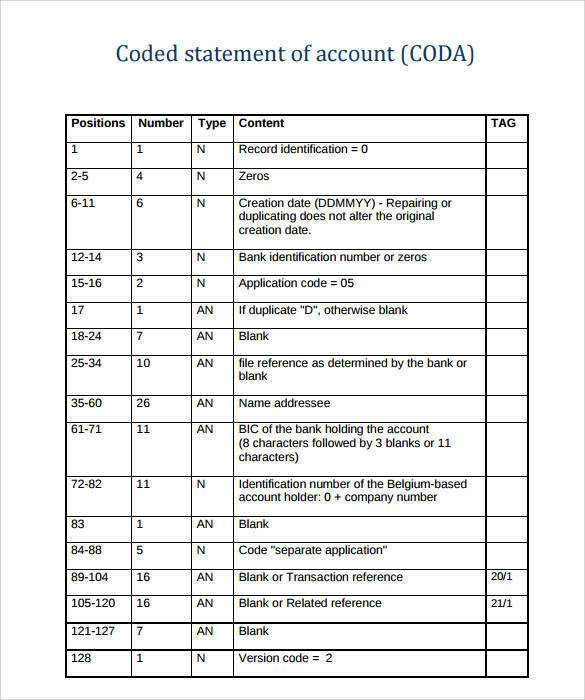 There are different varieties of statement of account templates that you can find online so scarcity is not an issue when it comes to this document.You may also see resume summary statements. 3. With the use of the template, you can ensure that you won’t forget a single data. 5. 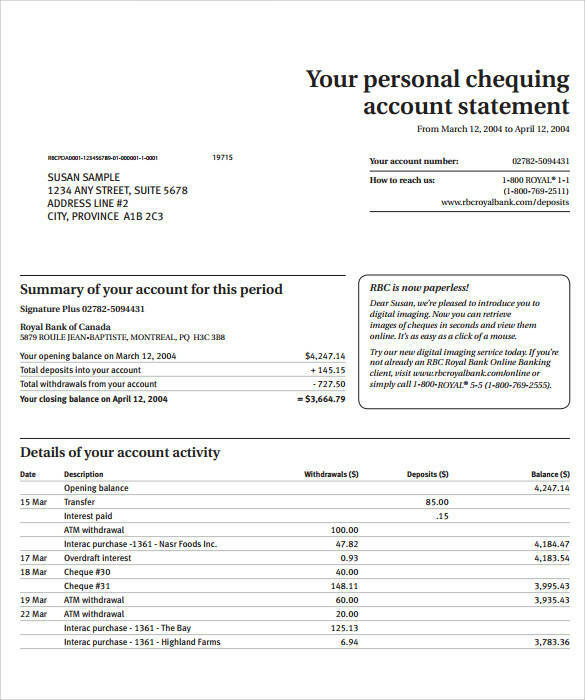 A lot of statement of account templates are available for free download so you don’t have to spend a single penny to get the template.You may also see billing statements. 6. 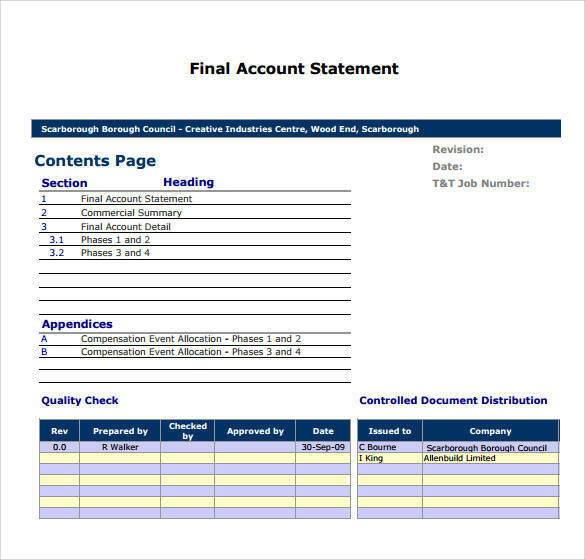 You can save a lot of precious time, energy, resources and money if you turn to using a statement of account template, instead of doing it the hard way.You may also see landlord statements. 7. The templates that you download online can be used multiple times for whatever purpose it may serve you.